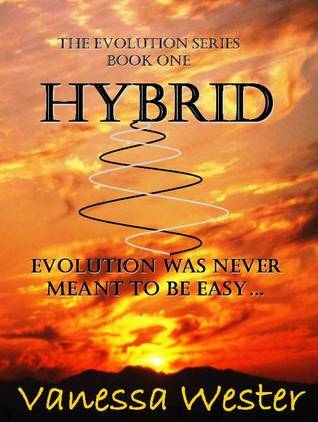 “Hybrid (The Evolution Trilogy)” by Vanessa Wester is a very original paranormal novel with great romance and a unique story line. It starts off as a regular University love story between Steven Thorn and Caitlin. They meet at her first day at a UK university and fall for each other. By allowing alternating viewpoints we get to feel for the characters and see the pure nature of their feelings for each other. Wester establishes also a few important side characters and gives enough time to the romance part before changing course and embarking on the paranormal part of the story. The latter is indeed quite unique and makes this book a welcome addition to the often predictable or repetitive helpings in the genre. By opening the book with a mysterious prologue the author has already prepared us readers for some twists and the solid plot does not let us down. Steven Thorn has no trouble settling in at University. Having grown up at boarding school, he is used to living away from home. He’s smart, so studying comes naturally. When it comes to making new friends, he’s cautious. Usually, he receives too much unwanted attention. Caitlin Chance catches him off guard. She’s the first girl he has ever felt an instant attraction towards and the more he gets to know, the more he likes. However, the romance is cut short when Caitlin leaves University after a suspicious suicide. As a child and teenager I was always lost in stories – either writing or reading them. I honestly wanted to be the next Agatha Christie! But, as things happen, I became convinced my English wasn’t good enough and gave up on the idea. Roll on 20 years, I had been reading books a lot and stopped obsessing over TV series, had just had my third child and something just snapped. I wanted to express my thoughts and feelings and needed an outlet. Writing saved my sanity! I have always been interested in the paranormal, vampires, evolution, humanity, etc… but I love the romantic angle to stories. What makes people stay together, why do they break up, how do you deal with unrequited love? Thank you for saying, I certainly had fun with them! This is a difficult question, but it would have to be Ingrid. Even though she comes across as shallow and nasty at first, she soon shows her true colours in the end as a true friend. David Boreanaz as Steven, Lindsey Lohan as Caitlin, Hayden Panettiere as Ingrid, Catherine Zeta-Jones as Emily/ Anna… to name a few! Planned? Was I supposed to do that? Ha ha. I just wrote, but as I got into it consistency became important. So the story wrote itself, but there was a lot of work behind the scenes to make it all come together. I loved researching new animals, places – I had fun! 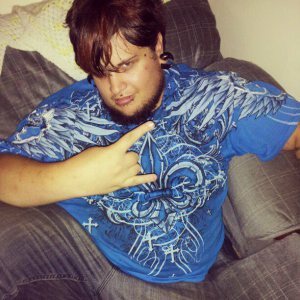 What is the idea behind your series? I watched a documentary about a civilisation in the Amazon jungle that still lives a “primitive” life. We have seen them from a distance but are not allowed to interfere with their way of life. That sparked off the concept of a hidden society. I think the answer to that is I am not. I am failing miserably at the moment and writing has taken a back seat. I think that I pushed myself so hard that now I just want to relax. Ideally, I would love to know how to succeed. I feel like I am stabbing in the dark a lot and it’s disheartening to know that competition is so fierce. I started writing for fun, but in the end you start to care (too much) about sales and what readers think. It certainly has put me off a bit – I used to be a much more private person. I basically gave up my teaching career (maths – you figure) to raise my children. So, I currently work at the school as a lunchtime assistant, help out with reading, home tutor, write, read, watch TV, swim, walk, clean house, etc… life! I wrote one when I was 16 – I would love to record it one day to go with the movie (wishful thinking). Historical fiction – based on the lives of my great, great grandparents who came from Lancashire. 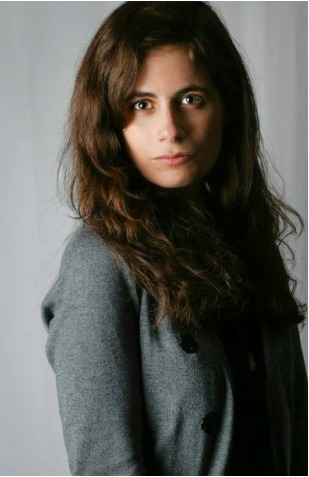 In addition, she has written a novelette called FIRST DATE, which is based on her true story. She has also published, and included stories in, six anthologies to raise money for fantastic causes, such as Gurnard Primary School on the Isle of Wight. 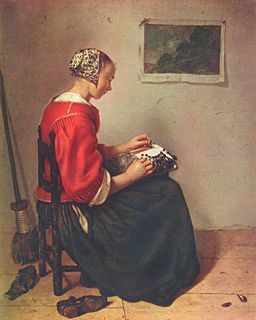 Writing is one of her passions, reading the other. The day she decided to start writing her ideas down she found another way to lose herself in a book, whilst finding an outlet for her imagination. It is the best way she can think of to escape from everyday life. She is currently working on a historical fiction novel based on the life of her great, great, grandparents… and is finding the research fascinating! Jennifer Theriot hails from the Great State of Texas. She is a career woman, working as CFO of a Texas based real estate investment firm by day and does her writing at nights and on weekends. In her limited spare time, Jennifer enjoys being outdoors; preferably somewhere on a beach curled up with a good book. Spending time with family and friends, listening to music, watching a baseball game and enjoying a good bottle of wine are usually on her to-do lists. She’s mom to three grown children and ‘MiMi’ to three grandkids – all of whom she adores! Her best-selling Out of the Box Series, OUT OF THE BOX AWAKENING, OUT OF THE BOX REGIFTED and TOCCATA OBBLIGATO~SERENADING KYRA are currently available on Amazon.com . The final in the Out of the Box series, OUT OF THE BOX EVERLASTING will be released in 2015. “Rupee Millionaires” by Frank Kusy is a fascinating and highly entertaining life story of a London trader and life artist and his travels, business ventures, friends and life philosophy at home and abroad. Written with great wit, humour, realism and honesty this is a reflective travel memoir that reads smoothly and easily and will make you think as well as smile. Be warned, there are some adult themes and ‘language’. Very enjoyable. Dodgy Frank Kusy, born into poverty from immigrant parents, learns to live on his wits––first as an unwitting money collector for Ronnie Kray, later as a Buddhist trader in London’s St Martin’s-in-the-Fields market. Then he meets up with thuggish ‘Spud’ who is so good at scaring people, notably the Petrovs, two encroaching Russian gangsters, that he hires him on the spot as his business partner. It’s a deal with the Devil. Spud is a loose cannon, liable to blow up at any moment. The two travel to India to become the largest wholesaler of hippy-Hindi glad rags in the UK, and to fulfil their dream of becoming rupee millionaires. Strangely enough, I came to writing through cats. I’ve always loved cats and was inspired by one of Paul Gallico’s cat books to (at the tender age of eight) write one of my own. It was called ‘Jessie the Cat’ and even my mum liked it. I’ve always been gifted (sometimes cursed!) with a lively imagination, so fiction was the obvious way to go. My second book, penned on a series of bus journeys to school when I was eleven, was a sequel to my all-time fave children’s book, ‘The Wind in the Willows’ by Kenneth Grahame. This one was called ‘Toad’s Dilemma’, and surprise surprise my mum liked that one too. But then I entered Jesuit college and my artistic bent was snuffed out like a candle for seven long years. It was only when I got to India, aged 30, that I really began writing again. I didn’t have to come up with any stories in India – they poured out in a flood to me. And it was this encounter with a strange and foreign land, where every picture told a story and where just about anything could happen and often did, that I veered away from fiction and wrote my first non-fiction book, the diary-travelogue ‘Kevin and I in India’. It described four months of privation and self-torture travelling India like Gandhi – third class, no luxury hotels or comfortable transport for us! – but alongside the suffering were times of great joy and humour which I hoped readers might pick up on and make them want to go to this vibrant, madcap and thoroughly exhilarating country themselves. My good luck was that it was mainstream published in 1986, and was followed by a string of travel guides covering India, Nepal, Thailand and half of South-East Asia. These kept me in writing work for nearly 20 years. Oh, that’s easy. When I returned to non guidebook writing in 2009, following a bad accident which stopped my travels stone dead, I sat down and wrote ‘Ginger the Gangster Cat.’ Ginger was my favourite creation – a selfish, vainglorious, pompous and very, very greedy cat with a heart of gold. I based him on Toad from the ‘Wind in the Willows’, though his cockney language and bad-tempered ways were also based on my ex-business partner ‘Spud’, who is the psycho-genius villain of my flagship memoir, ‘Rupee Millionaires’. Ginger and Spud could be played by only one person in the film industry: a young and bullish Ray Winstone. I have a birthday card which depicts a hungry-looking Ginger alongside my grinning face. It says ‘Frank was always aware of his alter ego’. I guess I’m more like Ginger than I’d like to admit – his search for “sausages or enlightenment” in his second book, ‘Ginger the Buddha Cat’, mirrors my own battle against food (in particular, sausages) in favour of becoming a lighter person! I’m an intuitive writer. That means I sit on a story for a long time, mull over all the plots and sub-plots, and then, when I feel “the time is right” I sit down and write a few chapters in a mad flurry of activity. I very rarely change a story once it’s down. Good question. I had to sit on this one for a long time too. I guess it’s the wish to express myself, to express my view of the world being essentially an absurd place full of absurd but potentially humorous situations, plus the wish or need to entertain my readers. At the core of all my writings is to pass on the message of Buddhism – that world peace is worth striving for, and that is only obtainable by each person doing their human revolution and nurturing the person right in front of them. You’ve read ‘Off the Beaten Track: My Crazy Year in Asia’, haven’t you, Chris? 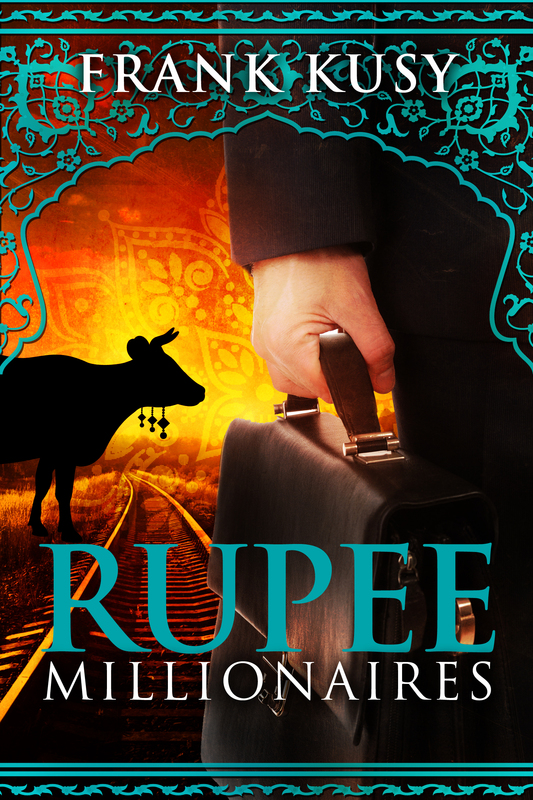 Well, that’s my newest one, I wrote it to bridge the gap between ‘Kevin and I’, which is set in 1985, and ‘Rupee Millionaires’, which runs from 1990 to 2000. People kept asking me what happened to Kevin, and how did I get into the hippy-dippy export business depicted in Rupees. 1989, when Off the Beaten Track takes place, was the most adventurous and exhilarating year of my life, the most emotionally confusing too. I suppose the idea of the series is to show how a fundamentally flawed Buddhist had his eyes opened to the world through travel – and developed compassion and understanding for others. Though it was only when I broke my leg 10 years ago, and stopped thinking about money and business, that this finally took place. The stories of ‘Joe and Madge’ in my ‘He ain’t Heavy, He’s my Buddha’ book plot my progress from being a rather bad, and rather fat, Buddhist into some semblance of a good one. The best aspect, for me, are having those ‘eureka’ moments when you just know you have a winning idea or a perfect phrase. The worst aspect is when you have to leap out of bed three or four times in the night to write them down before you forget them. Oh, and of course, there’s the dreaded ‘writer’s block’. I had one of those for 12 years once. It was horrid. This is the most difficult trick for a writer to pull off. I remember when I was mainstream published with traditional houses, all the marketing was taken care of and I had all the time in the world to get on with writing the next one. Those days are gone. Nowadays, every writer, even traditionally published ones, has to do at least some of their own marketing. That means a chunk of time on twitter, Facebook and other social networking platforms every day – if one is to keep the momentum of a book going. Then there’s plugging to big advertising mailing lists like ENT (ERreader News Today) and BookBub, with the constant hope/fear of being accepted/rejected. And if that is not enough, there is GoodReads, Google+ and read swaps with other writers to provide thoughtful reviews which give at least some sense of having read their books. It’s all about reciprocity – treating other writers as colleagues, not as competition. But when all’s said and done, I do try and put at least an hour a day into writing my next project – I owe myself that much at least! I have a pretty sedate life now that I am 60. I get my mind off of writing (and social media) by going down the gym three or four times a week. I find that very therapeutic. I also play bridge with little old ladies every Wednesday, and attend Buddhist meetings at local people’s houses. I still sell the Indian jewellery and handicrafts through which I made my ‘rupee millions’ when I was younger, but only to a few shops now – my next buying trip to India, this April, may well be my last. Oh, and I do try to do an hour’s Buddhist chanting in the mornings, that makes my day go with a swing. Odd thing? Well, I have OCD big-time. I can’t concentrate on a thing if I spot a fluff on the carpet. It has to go. Mundane thing? Hmm…I don’t do mundane. Except that I watch a game show called ‘Deal or no Deal’ each day on the telly. This has some Joe Public opening boxes at random for an hour and hoping the last one contains 250 thousand quid. Yes, I guess you could call that mundane. I was an editor myself, at the Financial Times in London, so I pretty much edit my own stuff. Though I do have a small trusty team of beta readers who pick up the odd nit or challenge the odd phrase. Oh, and of course there’s my German wife Andrea, who is the acid test of all my writing. She doesn’t say much – usually just ‘That’s good’ or ‘that’s rubbish’ – but she is always spot on in her observations. I couldn’t do without her. Self publishing has been a steep learning curve for me. For one thing, while I have always been good at selling “stuff” (I ran a successful market stall for 3 years, then an international wholesaling business in hippy glad-rags), I have never been good at selling myself. That all changed in 2009, when I started writing again after a long lay-off and found no mainstream publisher would take me on any more. Amazon had squeezed them so tight, they weren’t prepared to take the risk. Or my books weren’t so good? Anyway, I loaded them all up on the Harper Collins’ Authonomy site, got my confidence back with four gold medals, and then loaded them one by one onto Kindle. I was dreading this, even had a dream where they all got swept away and sunk to the bottom of the Amazon river. But I got a lot of help from friends I’d made on Authonomy, teamed up with three of them to form Grinning Bandit books – which now has a portfolio of ten books – and started submitting to ‘free’ and ‘bargain’ promotion sites via the KDP Select programme on Amazon. My first ‘high’ was when ‘Ginger the Gangster Cat’ hit #1 in Children’s Books in Jan 2013, I couldn’t believe it! And then, more recently, ‘Kevin and I’ got as high as #5 overall on the Amazon free chart. I had to pinch myself! Though these highs, achieved by listings with EReader News Today, BookBub, Booksends, Kindle Books & Tips etc, are rare. There have been significant lows too, when, exactly 30 days after a promotion, my books have fallen off the “cliff” of Amazon algorithms and have in fact plunged down to the bottom of that eponymous river. The biggest low, however, was when I took a large suitcase of my books to Manchester, north England, last summer for a book fair. Nobody showed up, it was so poorly advertised, and I had to lug the whole heavy suitcase back home to London again. There is nothing in the world better than the ‘buzz’ I get when I am in the writing zone. There is nothing worse than when someone knocks at my door or phones me up to kill that buzz. I call it the Xanadu syndrome…after the ill-fated, half-completed poem by Coleridge. My best friend Phil is a new writer. He has this theory that if you write 100,000 hours, you will become a good writer. He is wrong. They say that if you put a barrel-load of monkeys in a room with a typewriter, they will eventually produce the entire works of Shakespeare. They are wrong too. That would only work if all the monkeys got together, learnt their craft, collaborated with each other and actually read Shakespeare. Writing cannot be done in isolation. If you want to be a good writer, get out to a good creative writing class or workshop, show your work to others, take their criticism or feedback on board, and read and show interest in their work in return. Above all, learn how to ‘structure’ a story and know who you are aiming it at. The first ever comment I got on my Ginger cat book on Authonomy (which is a great community to join when you have a few chapters ready for the public) read: ‘No plot, no narrative arc, no target audience, no chance of being published.’ I cried for days, but it was the single most important feedback I ever got. Jerome K Jerome, Joseph Heller, Hermann Hesse. Oh, and a wonderfully tongue in cheek Irish writer, J G Farrell. ‘Siddhartha’ by Hermann Hesse. Closely followed by ‘The Siege of Krishnapur’ by J G Farrell. I love Hesse with all my heart. Good choice! What book are you currently reading and in what format (e-book/paperback/hardcover)? I’m currently reading the e-book version of ‘The Luck of the Weissensteiners’ by a very talented chap called Chris Fischer, maybe you’ve heard of him? I love historical books with a ‘real family feel’ – you know, like the Von Trapp family – and this is up there with the best, thoroughly absorbing. How well I planted that question lol. I tend to find humour in just about everything. Especially my cat, Sparky! I’d like to say ‘very well’, but that only applies to constructive criticism. I go out of my way to get constructive criticism, it is the only way I can improve my art. Non constructive comments like ‘Boring, boring, boring’ or ‘Is this writer the son of Satan?’ on Amazon do however make me grind my teeth. Have these ‘commentators’ nothing better to do? Being a memoir writer is particularly tricky. Especially when, as in ‘Rupee Millionaires’, half the characters in them are frauds, villains or drug dealers. Best case scenario: none of them get to read it – they’re either dead or banged up for life. Worst case scenario: they all get to read it and they’re queueing up to put contracts out on you. But I don’t care. When the truth is stranger (and funnier) than fiction, you’ve got to print the truth, haven’t you? Today I’m pleased to present Killarney Traynor, and her book “Summer Shadows. The book is a well written mystery story – cozy, but not without its well placed depth. At heart is a family tragedy that forces single aunt Julia to look after her niece and nephew. Trying to balance her troubled finances and the new responsibility with her grief and sense of loss, Julia has enough on her plate. She is soon settling into a new neighbourhood and finds romance, but she also comes across an old murder mystery which she decides to solve. 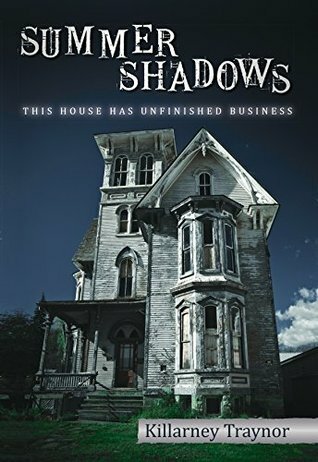 The haunted house theme fits in well into the pleasantly odd neighbourhood, there is excellent suspense and the romance part provides beautiful relief for all the heavier issues. This is also a beautiful family story. This is a very entertaining read that manages incredibly well to walk the line between its serious and lighter elements. I found the characters very likeable and the reading experience overall incredibly satisfying. A truly great read. My father was probably my biggest influence. He’s still one of the most knowledgeable people I know and he would read all the time. I wanted to be as smart as him, so I would read, too. This idea came from a soundtrack by Roy Budd for a movie I’d never seen called ‘Flight of the Doves’. The theme is this lovely, summery jazz piece and as I was listening two it, I suddenly got the image of a woman, driving a car on a hot summer day. She’s checking two small children in the backseat, there’s a silent boy sitting beside her and suddenly I realized that, not only were the children not her’s biologically, but that they were heading somewhere that seemed safe, but was actually dangerous. That scene came in a flash, but it took weeks to hammer out who they were, where they’d come from, and where they were going. Right now I’m working on another small town mystery, only this one is about a treasure hunt that goes badly. It involves Civil War history, New Hampshire small town history, and a lot of research about historical treasure hunting. It’s different then what I normally do, so it’s a challenge, but it’s a lot of fun. I like them all, actually, but my favorite is probably Ron, the eldest boy. He a cranky, difficult character most of the book, but he means well and worries so, the poor kid! I was lucky enough to find an editor who shares my values, both in publishing and morality, so we work really well together. She doesn’t let me get away with anything, which is good, because I’m almost as stubborn as the characters I write. Honestly, I write because I can’t help it. I’ve been writing since I started reading and it’s become a habit that I couldn’t imagine breaking. I’m miserable if I’m not working on something. First, write for yourself, for the sheer pleasure of it. 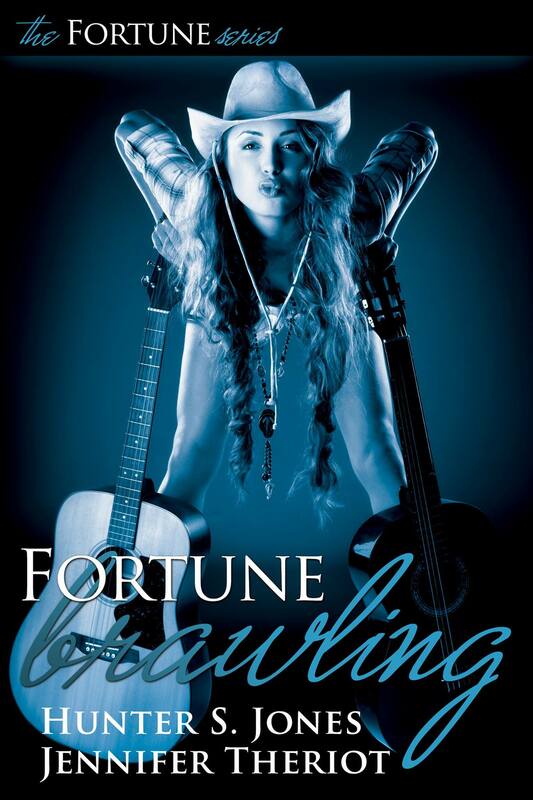 Don’t think about fame and fortune, or you’ll find yourself trying to write in ways that cramp your style. Second, find your audience. By which I mean, find one person that you want to enjoy the story, write it for them, then let them read it and tell you what they think. It’s a great way to learn how to tell a story. Third and most important: find a rigorous and reputable editor that you trust and give them your book. It’ll feel like handing your infant to the sacrificial fires, but a good editor will save you lots of embarrassment and time and you’ll learn so much about the writing process. Jenna Brooks, Melodie Ramone, and Amahlie Jahn – they all have such powerful voices and innovative plots. I haven’t finished your book yet, but can I put you on that list, too? You want me to pick just one? Impossible! I’m reading two: The Luck of the Weissensteiners (ebook) and The Tipping Point by Malcolm Gladwell (paperback). Mundane: I’m a tea drinker. Odd: I started drinking tea as a teenager as a form of rebellion – everyone else in my family drinks coffee. That was my big teenage rebellion. I swear, my parents had it easy with me. I like to think pretty well – but you probably should ask my editor about that! If I’ve been drinking, everything makes me laugh. Killarney Traynor is a New England-born novelist, writer, actor, bibliophile, martial artist, and historian. 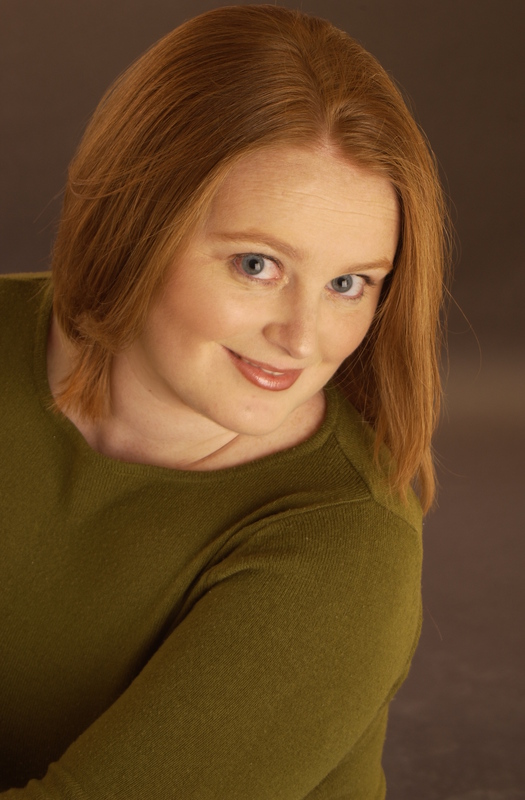 A member of Authors Elite and American Christian Fiction Writers, her debut novel, Summer Shadows, was released in November 2014. Picture this. She’s from a lower socio economic family, left school at sixteen, works as clerk in a factory. He’s from an affluent background, private school education, university degree, member of exclusive social clubs, home in the leafy suburbs. What’s the likelihood of their having a relationship: Intimacy? – Probably not. Physical? – For sure. But would it last? Not a chance. In fact, they’re courting danger. You see, she’s Brown and he’s White. Big problem. This is South Africa 1974, the height of apartheid. In her first memoir, Jennifer B. Graham takes an emotional journey back to her childhood in a hostile land that legally classified her as a “Coloured” – officially defined by the apartheid government as a “person who fails to pass for white.” Throughout her fragmented life, coupled with being both Non-black and Non-White, struggling to find a place to belong, she carves out her version of an ordered world. Her quest is exacerbated by the love of a man who dared to make An Immoral Proposal. 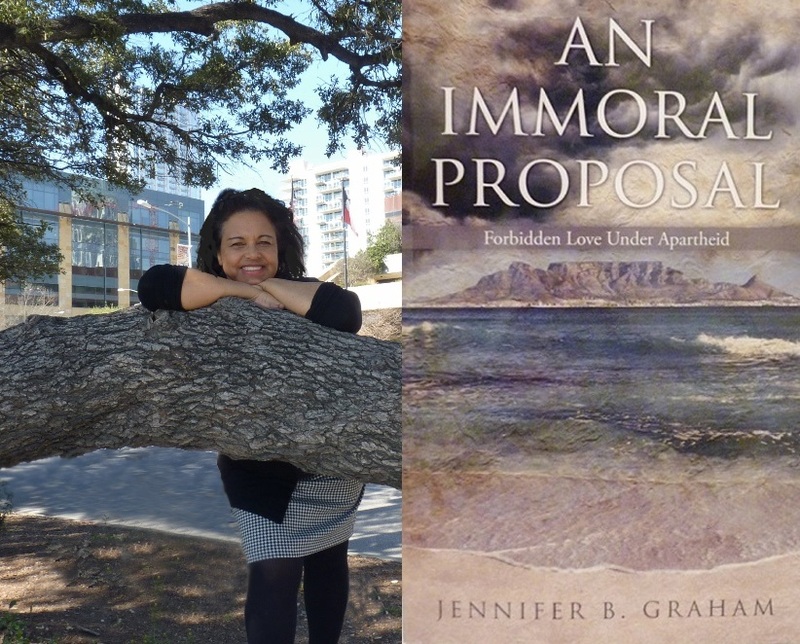 “An Immoral Proposal: Forbidden Love Under Apartheid” by Jennifer B. Graham is an amazing memoir. Showing what her life was like and that of other ‘Coloureds’ compared to those of the Blacks and the Whites, Graham brings not only a new or under-representated perspective, she also opens up honestly about her individual cicrumstances. A heart-felt love story, a gripping memoir and much valued insights for this reader. I liked the way Graham presented the facts and let them often speak for themselves. An eye-opener and an emotional experience that I cannot recommend enough. Because I was raised in an oppressive environment, I’ve developed the ability to express myself better in writing when verbal discourse was stifled. Honing this skill over the years and writing a memoir, has helped me to finally find my voice. I’m a people person. They energize me. There’s an old saying in the Southern US, “She never meets a stranger, always a friend.” That’s me. My first foray into writing, funnily enough, wasn’t putting pen to paper. Instead it was, as a child, creating paper doll families and breathing life into them. Each character was unique with its own personality. I made them shoebox houses in a shoebox village. I gave them matchbox cars. They dated, got married and had babies. I put on social events for them. When the time came for the grandparents to die, I simply tore them up! And did a little boo-hoo for their loved ones. My own story wrote itself really, but wouldn’t allow me to fictionalize it. It needed to be a memoir. And so, after a 25-year “pregnancy,” An Immoral Proposal, was born. When I tried setting my life’s story in fiction it didn’t quite ring true. In trying to “hide” behind a sanitized version of my story, it rang hollow as I tried to paint a Pollyanna world to avoid the painful parts. Whenever people heard my story, they’d invariably say, “You should write a book.” The story was essentially begging to be told, but there were many factors that needed to fall in place. I needed to become psychologically stronger before I could set pen to paper or should I say fingers to the keyboard. People also tell me my story should be made into a movie. If any film producers or screen writers see this, South African actress, Kandyse McClure would be a good fit to play me! I’m working on the sequel to An Immoral Proposal. I’m also trying to put together an e-recipe book about South African cooking – especially the delectable food of the Cape region. Winston Churchill said, “Writing a book is an adventure. To begin with it is a toy and an amusement. Then it becomes a mistress, then it becomes a master, then it becomes a tyrant. The last phase is that just as you are about to be reconciled to your servitude, you kill the monster and fling him to the public.” That’s pretty well what I’ve done with my book – flung it to the public. What frustrates me though is the blogging and social networking I have to do that cut into my book writing time. And I’m not good at multi-tasking in this regard. But that’s what you have to do when you’re on a tight budget. I self-published through Create Space which has been an enormous learning curve. The learning has been (with much exasperation) through more error than trial. This time round, with my second book, I would leave the technical stuff to the experts rather than wasting precious time trying to figure everything out. And I absolutely would never ever hire a publicist again! Huge waste of money. As I say in my bio, I’m a global nomad. Another take on the idiom, “A rolling stone gathers no moss,” is that a rolling stone can give you a hellva bruise! I hate that our family is geographically scattered. If I could order my life, I’d have me and my family live in a sleepy sea-side village. But that’s the romantic in me coming to the fore. My husband and I invariably find ourselves in some mode of travel visiting our children and grandchildren. So much so, my grandies think we live at the airport! I love to grow herbs in spring, use them in my cooking and feed whoever wants to eat. Oh, and I adore seafood! My small grandchildren. Especially when my four-year-old grand girl asked me if I was a 100 years old! They‘re a laugh a minute. Nineteen seventies British comedies and The Odd Couple with Walter Matthau and Jack Lemon – after all these years they still make me laugh. People I’d have loved to have invited for dinner are all now deceased, except for Michael Palin and Billy Connelly! I love watching You Tube interviews of yesteryear with raconteurs such as Peter Ustinov and David Niven. Without a doubt, For All We Know, sung by the Carpenters. When it played on the audio selection on the airplane when I left South Africa in 1975, I knew it was a good omen and everything was going to be okay. I have a heightened sense of smell. My husband says they can use me as a sniffer dog at the airport security! Unpleasant smells really bother me to the point that I have to hold my breath if I’m passing by a person or situation – e.g. body odour, cigarette smoke. I also tend to sniff my clothing to check if they need washing. My mundane thing? The toilet roll MUST dispense with the paper over the spindle, never under! Jennifer is a self-proclaimed global nomad who began life in South Africa, left when she was nineteen and since then hasn’t looked back. Over a forty year span she’s also lived in England, Canada, USA and New Zealand. After earning her degree in communication/print journalism from the University of Mobile, Alabama, USA in 2001, she wrote freelance feature articles on topics such as food, health, travel and profiles for miscellaneous publications that include Destinations, Connections, The Press, The Citizen, The Fairhope Courier as well as Triond.com. 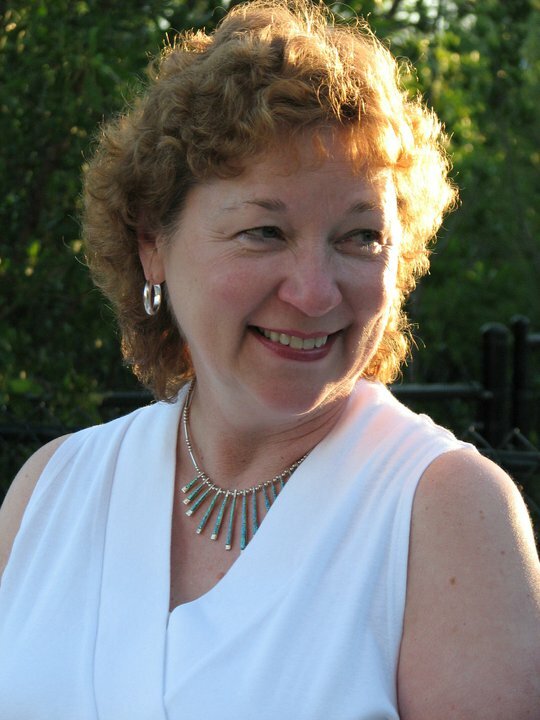 Jennifer is a member of the Writers’ Community of Durham Region, in Toronto, Canada. An Immoral Proposal is her first book. She lives with her husband near Toronto. 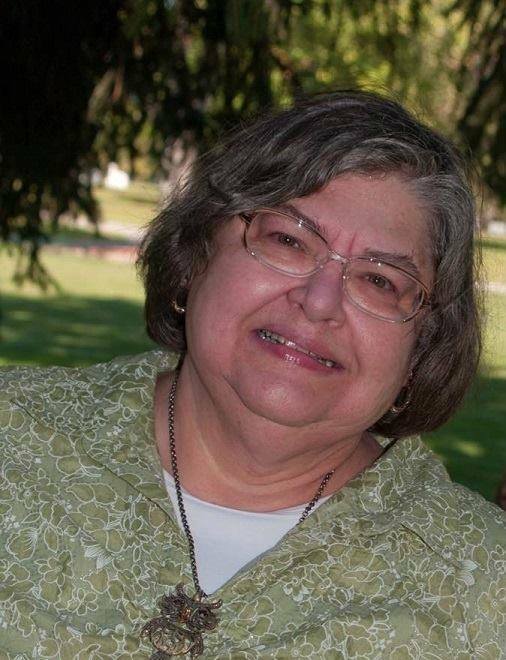 Her five grandchildren, split between Delaware and Saskatchewan, keep her wandering. Picture this. She’s from a lower socio-economic family, left school at sixteen, works as clerk in a factory. He’s from an affluent background, private school education, university degree, member of exclusive social clubs, home in the leafy suburbs. What’s the likelihood of their having a relationship: Intimacy? – Probably not. Physical? – For sure. But would it last? Not a chance. In fact, they’re courting danger. You see, she’s brown and he’s white. Big problem. This is South Africa 1974, the height of apartheid. An Immoral Proposal is available on Amazon.com, Kindle, Barnes and Noble and Goodreads. 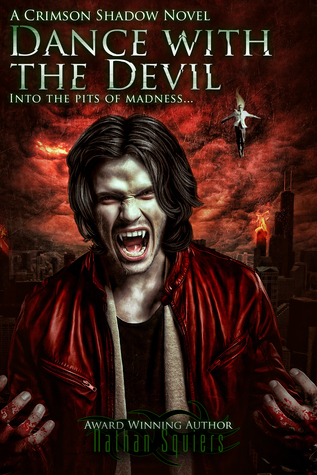 “Crimson Shadow: Dance with the Devil” by Nathan Squiers is another powerful masterpiece in this series about the troubled vampiric soul of Xander Stryker. Coming from a troubles past and background and a tormented soul Xander has come a long way, finding his allegiances and enemies, coming in to his own, learning about his powers and how to use them. This book is no longer about his coming of age but how he defends his friends, his lover Estella and the world. I can’t stress enough how few Vampire novels I read and thoroughly enjoy. Squiers writes with intensity and depth that makes the darkness believable and makes me feel the internal conflict of Xander. There is originality, such as the pet tiger, and amazing characterisation, which often lacks in more stereotypical fantasy and supernatural stories. I found myself reading this story when time was scarce, promising to get up after the next page and do what I was supposed to do. A very compelling series, that btw benefits from a series of short stories which add spice and different perspectives to the novel length instalments. 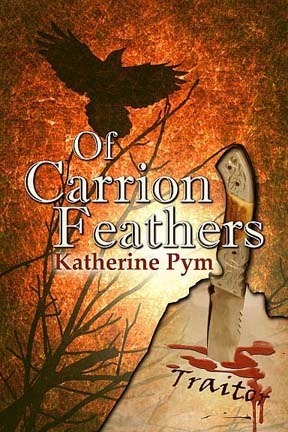 “Of Carrion Feathers” by Katherine Pym is a wonderful historical novel set in London of 1662. I’m a big fan of the period and found Pym gifted in her portrayal of the language, customs and mannerism of the time. With great detail and two excellently chosen and developed characters, a story of espionage, blackmail and court politics Pym has written an engaging and captivating novel with a great plot and entertaining suspense. Many novels set in that period go overboard with their details and imho could shed a few chapters to make for a better pacing. Pym got this balance and her pacing perfectly right. A very enjoyable and recommendable read.It is London 1662, and plots abound against the king. Oliver Prior, haunted by the death of his sister when still a child, enters the world of espionage. Beatrice Short’s goal is to go on stage, but she must work as a servant. While cleaning, she finds ciphers and invisible script. After the king’s undersecretary finds her snooping, he blackmails her into going undercover as a spy. While Oliver and Beatrice bond to discover the backbone of insidious schemes to kill the king, they learn who runs the plots. He is a man steeped in hate, and he must be put down. First of all, I’d like to thank you for inviting me to your blog. This is a real honor. As for me, I go on quests, to learn about other time frames. Lately, I have one foot in today’s world, and the other in 1660’s London. After I found Walter Bell’s Diary of Samuel Pepys. When young, I admitted to my sister I was an intellectual snob. With a sage nod of her head, she told me she was the same. Over a drink or two (maybe three), we told each other secrets. To our chagrin, we confided that we were both closet historical romance novel enthusiasts. Then, we decided to write a historical romance novel. I mean, how hard could it be? We chose the French Revolution, and I set out to research it. In one of those heavy tomes, I saw a contemporary picture of Camille Desmoulins, a pamphleteer and journalist during that time. At that very moment, the historical romance novel died, and The First Apostle was born, a biographical fiction of Camille and Lucile Desmoulins. Actually, their story reads like a historical romance, so I guess I didn’t wander far from the original plan. Research has a tendency to give me ideas. I ran across a simple statement of a fellow complaining to another because so many women came to him to make babies, that their husbands said they were barren, when in fact their husbands were sterile. In Viola, my protagonist takes part in a stud service. I considered that a fun storyline. I like Beatrice in Of Carrion Feathers. She won’t let anyone tell her what to do. Her independence spurs me on. I’m similar to Beatrice. You tell me something cannot be done, and I’ll move heaven and earth to show you otherwise. It’s a mixture. When I start out writing a novel, I have a straw-horse in mind, then move on from there. Some plot twists come from the ether, though, while others were already established. It’s in my blood. I love my fingers making words on the screen. I go to another time and place to create these characters, paint the pictures of London and the interior of their houses, what they eat, how they think. The First Apostle was set in stone, with the characters of Camille and Lucile Desmoulins, their friends, enemies and families being real people. If anyone knows about the French Revolution, he/she will know the outcome of this novel. I just hope my passion for the Desmoulins flows throughout the pages. For London in the 1660’s, I go with what happened in a particular year. 1660 brought home the king from exile. 1661 the king was crowned. From almost the beginning of King Charles II’s reign, there were plots against him, and anyone who surrounded him. 1662 my novel is about espionage in a bakery. 1663 was dedicated to science and medicine that spiked during this time. Sir Isaac Newton was in school in 1663, so I could not use him as a member of the Royal Society where scientific experiments and lectures took place. 1664 is in process, and deals with pre-war jitters (2nd Anglo/Dutch war is declared in 1665). Skirmishes between the two countries are already taking place. Everyone in London is nervous. The 2nd Anglo/Dutch war was pushed forward by the merchants of Holland and England, and fought entirely at sea. 1665 deals with the war and plague (I haven’t started this one yet), and 1666 (nor this one) continues with the war, then the great fire that burns down the core of Elizabethan London. That’s when this set of novels will end. Even though I am immersed in my characters, writing can be a lonely world. Only you can sit and write what you feel will touch the reader. I don’t really. I’m not a good promoter or blogger. It takes a great deal of energy to do both, and I have a very hard time talking/writing of myself, nor do I want to spam all my social network groups/friends, so when I do force myself into the arena, I will twitter, promote a new release, or prices reduced for a day or so. Research, and lately, I seem to be in need to judge books. Many books have crossed my computer or kindle this year. I like to wear really colorful socks, and I’m intensely private. Benjamin Franklin was one I always wanted to sit at my dinner table, but then I heard some rather unsavory things about him. Now, over a hearty meal and a carafe of wine, I’d love to chat with Georges Jacques Danton (of the French Revolution). While writing The First Apostle, I listened to Mozart. For my 1660 London novels, not sure, but whatever the music, it should be chaotic; old London was a city that rarely slept. Nothing was politically correct. Lots of religious confusion; bigamy, frustration, plots against the king. People who read my London novels expect to see the stiff-upper-lip characters, and wonder if I’m wrong about the history. During the mid-17th century, gentility was simply not the case. Common people still used horn or wooden dishes, whilst the king drank from Venetian glass or ate off Delft ware. Jasper’s Lament, a novel of passion and deceit set in London 1664 on the eve of the 2nd Anglo/Dutch war. Only that I do my very best to keep the historical facts correct, and set in the proper year. Don’t write to make money. Unless you have a job to come back to, don’t ever quit your day job until you have banked enough cash to live off your royalties for the rest of your life. Probably a roll of toilet paper, and something to sleep on, set high enough above the scorpions. I’m like a dingo-dog. When I tackle projects, I don’t give up, and I have a tendency to jump to the end, i.e., when something begins to happen, I can see the outcome, and am generally correct in that outcome. Since they are so intertwined within me, I’d probably keep both. Besides my The First Apostle, my other novels are 1660’s London. Viola (1660) concerns bigamy—a real thing back then—clandestine marriage, and the return of the king from exile. Twins (1661) takes on a little known superstition a man can only sire one child at a time. If a woman has twins, she’s been unfaithful. Of Carrion Feathers (1662) tackles espionage under the reign of King Charles II. 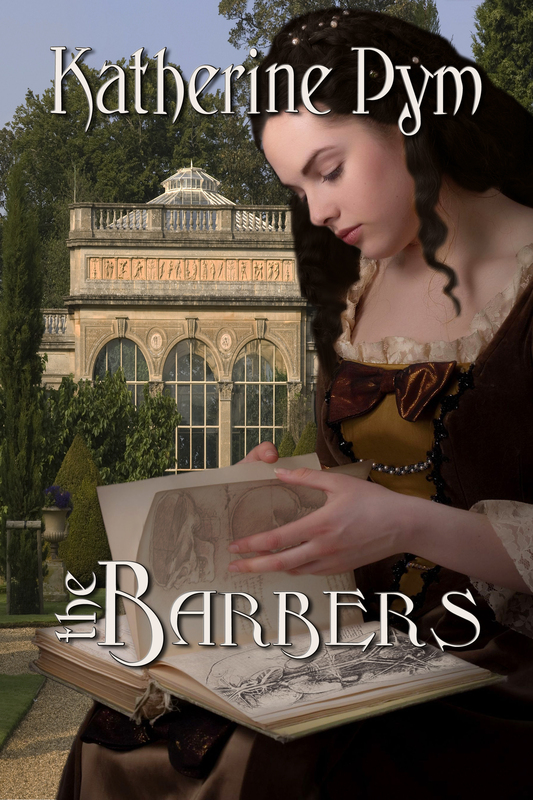 The Barbers (1663) works with science and medicine. There’s also a hanging. If the criticism is about incorrect data, I cringe, and feel badly. If it’s a cyber-bullying session, I turn my back to it, and let those cruel souls wallow in their own muck. While I was busy releasing THE HEALER and handing out free copies of THE LUCK OF THE WEISSENSTEINERS I’ve somewhat neglected my other books. A BIG THANK YOU TO THE KIND READERS FOR TAKING THE TIME TO READ AND REVIEW. What a lovely book! I really enjoyed this novel. The characters all slightly wonky-by that I mean-they all have ‘issues’ which makes them have depth and makes them ‘human’! Tender and touching book with humour and sadness mixed together .A good rounded book that maybe will make you look at your own life a little more closely! I know I did. A good free read which I would have paid for. Christoph Fischer’s book Conditions gives a fresh new look at families and relationships, touching all the usual themes but giving them new twists: estranged brothers, imposing and bossy mothers, prejudice, regrets and grudges. Fact and hearsay mix up in dialogues so crisp that you can picture them carried on in a theatrical play (reminded me of the witty style of Pirandello’s Six Characters In Search of an Author), leaving the reader longing to find out more. What I really enjoyed about the book is that there isn’t a singled out hero in the story, and as you are drawn into the point of view of each character, you feel for them and side with them even though the next character will tell you his/her side of the story, forcing the reader to change perspective. A thought-provoking read. We all yearn for the idea of ‘home’ yet it is there that the most painful struggles are fought out, as described in such profound ways in CONDITIONS, a contemporary fiction novel by Christoph Fisher. The jealousy between the brothers is complicated even further when one of them—Tony—finds his brother, Charles, a challenge to handle. He resents him for shrugging off responsibility because of his mental health condition. He hates the burden he has carried all these years, while Charles had it easy—or so he thinks.How can he come to terms with the inherent imbalance between them? This book is a journey to find a solution, to find forgiveness and embrace each other, because in the end, this is the human condition: we take stuff we never should at face value and then we question stuff that we never should.Five stars. I think a lot of people will feel for Tony and Charles, especially people who have lost a mother or someone close to them. Like with many families and circles of friends, there are some issues that come to the surface with the passing of a loved one. The struggles and revelations draw the reader in. If you enjoy a contemporary drama, you’ll like this book. 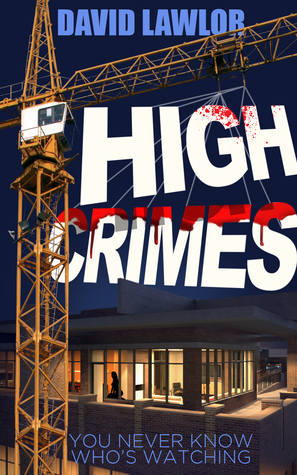 “High Crimes” by David Lawlor is an intelligent and expertly written crime story set in modern day Dublin, Ireland with a link to the past. There are several narratives that quickly form a complex and cleverly plotted web of connections in this well paced and very enjoyable thriller. There are two villains: a stalker and a child abuser – and their victims. Lawlor has written some really great characters for this novel who are effortlessly established – much is said with few words. I was drawn into the story immediately with a heartfelt scene at a funeral, a precious moment between an ageing couple and the inner thoughts of the stalker eyeing up his victims, to name a few. Although it took me a while to get the naratives and people connected, the book would not let me go. The themes are powerful ones and there were many emotional moments for me while reading this but the fans of crime fiction will enjoy this as much as those who like a bit of bite and moral to their stories. 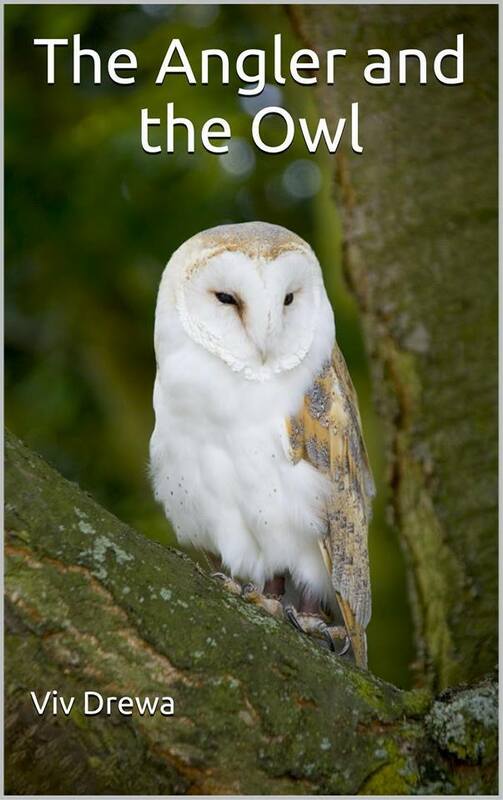 My review: The Angler and the Owl” by Viv Drewa was a lucky surprise find for me. Currently suspecting an owl nesting in my garden I downloaded this book up after seeing it advertised temporarily for free on twitter. 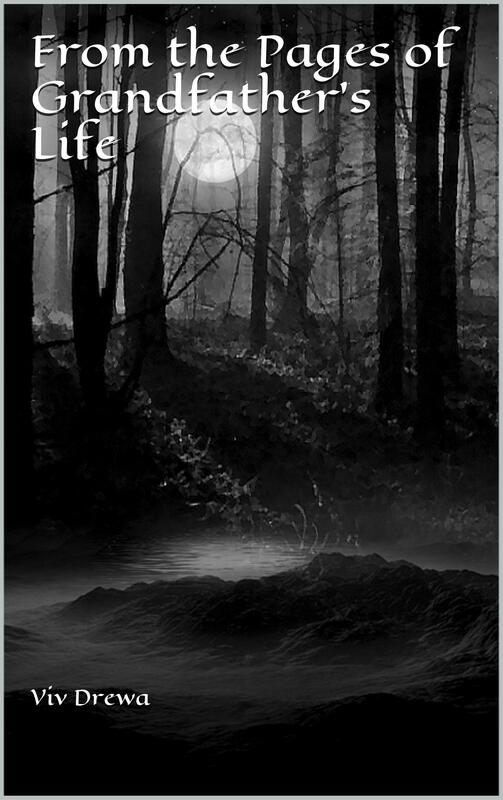 This short novel is a great adventure story in the exotic location of the Amazon River. Beginning with a traumatic encounter between a bear and an ornithologist the story introduces the twilight between nature loving exploration of wildlife and the associated dangers. A new expedition into the wildlife includes a few more characters with different agendas which add even more spice to the story. Great suspense, interesting perspectives and a strong story make this a compelling and fascinating read. I have always wanted to write. I had, and still am, an avid reader and love to see the different styles of other authors. My influence came when I was 9 years old and read “The Whistling Sword” by Robert J. Green. Previously I had read all the Nancy Drew and Hardy Boys Mysteries and decided to randomly choose a book and that was it. I loved Green’s style and how exciting the story of the young boy, traveling with Genghis Khan, learned about Khan and the world around him. As I got older I was drawn to paranormal stories, especially if they contained ghosts. I decided I wanted to focus on that genre and will do most of books as paranormal thrillers or paranormal murder mysteries. My ideas start with observation: things around me, things I hear or read. Then I add the ‘what-if’ and the story is born. How well they come together. “The Angler and the Owl” practically wrote itself. 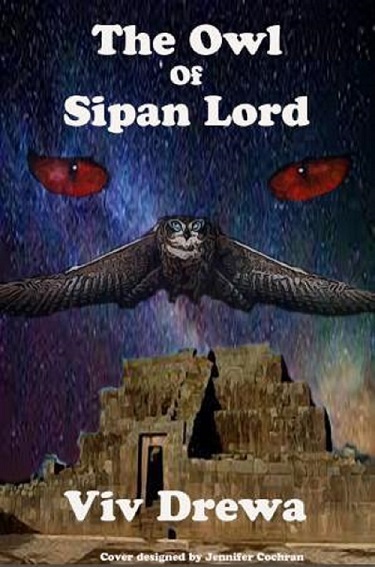 “The Owl of the Sipan Lord” wrote itself but not to the same degree. With my WIP the characters seem to be taking over. My daughter is grown and on her own so it’s just my husband, our cat and me. I do the usual chores and cooking. Sometimes we go out to eat or our friends come over to play cards on the weekend. Nothing much more than that. Anything silly. I love to laugh and refuse to walk around with a scowl on my face. I always smile. Gosh that’s a long list. Stephen King for starters. I’ve read most of his books and seen all of the movies. For our dinner conversation I’d make sure I come up with questions he’d not been asked already. “The Midnight Owl” it’s a paranormal murder mystery. Since I couldn’t find out enough of police procedures in South America I used my hometown. I write about the mature (older) woman. So many stories focus on the younger woman and I wanted to tell stories that showed that older women have the same dreams. Owls will always be in my stories. I’ve loved them since I was 3 years old. I’ve been fascinated with South America since elementary school especially the Amazon River. My books will be set there if at all possible. Amazon review‘- The year was 1913 and everyone was scared, anxious and looking for answers. Lucjan and Franciszek have found a way to escape the war, but also must leave their homes and family to begin anew. This is a beautiful memoir of a horrid time in history. I wish it would have been longer, but what there was in this short story was beautiful and memorable’. I plan to rewrite this short story adding a bit more to the description of the area and the place my grandfather lived. I am doing research on the area and hope to have the second edition out by summer 2015. The following books are always free on Smashwords. This series was started in order to help new or unpublished authors get their name out there. The link to the group is on Facebook and is called June Project. Everyone is welcome to join. Just send me a PM on Facebook if you’re interested.